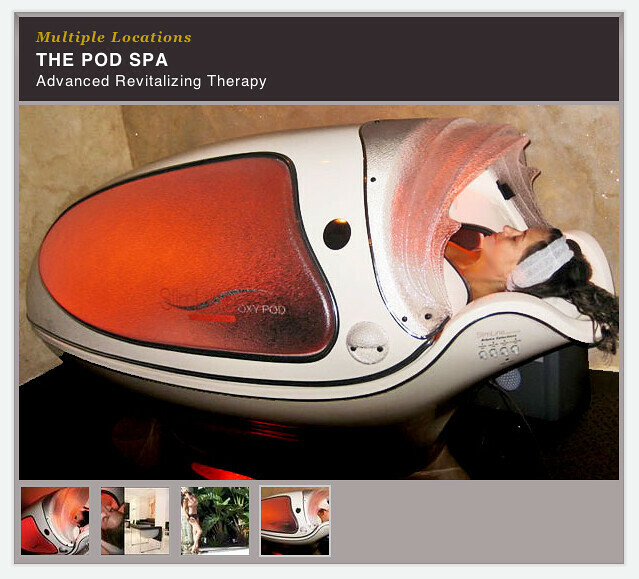 Neither situation seems particularly relaxing. Well, what if the singer co-wrote the script? Or if it also co-starred Bernadette Peters as a fictional country singer’s ghost? How about if we threw in some flashbacks and a few musical numbers? Believe it or not, someone made this movie. 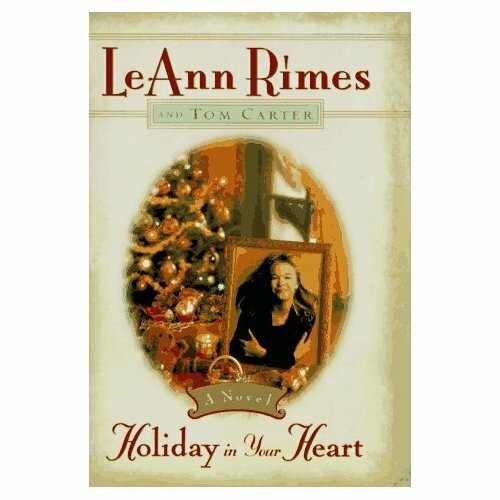 Originally produced by ABC and now retired to Lifetime Movie Network, Holiday in Your Heart stars LeAnn Rimes as LeAnn Rimes, a white-hot singing sensation (explanation: movie is from 1997) on her way to perform her hit single at the Grand Ole Opry. Oh, are you not familiar with the hit single? Don’t worry – you’ll get a chance to hear it many times throughout the movie. Many, many times. The glitch in LeAnn’s plan is that her beloved Grandma Teeden has recently fallen ill. Now LeAnn has to choose between being with her poor, ailing grandmother and realizing her selfish career ambitions. Are we sure this isn’t a Lifetime movie? LeAnn meets a mysterious country singer played by Bernadette Peters, and (after they quickly sing the hit single TOGETHER) they become fast friends. LeAnn is still brooding over what to do about Grandma Teeden, and Bernadette gets that faraway look in her eyes that means we’re in for a flashback. The flashback shows us that Bernadette Peters was once a young hot country singer, just like LeAnn. No stranger to sacrifice, she even had to run away from home to realize her dreams. Then (still in the flashback) there’s a big snowstorm. Bernadette is on a bus that gets trapped in the storm, which would be no big except that Bernadette’s a diabetic who carries around only EXACTLY as much insulin as she thinks she’ll need. Sorry for the lack of screen caps from the actual movie. Someone (involved in the production?) worked very hard to scrape the Internet clean of such things. At this point in the movie I realized I was dealing with a cinematic identity crisis. This is a movie that can’t decide if it’s a light celebrity romp (like From Justin to Kelly), a ghost story, or the touching, bizarre tale of a diabetic country singer trapped in a snowstorm. What were they thinking? Film Guy #1: Hey, we should do that LeAnn Rimes movie before people lose interest. Film Guy #2: Perfect. We’ll make it all about the sacrifices she has to make because she’s so fabulously rich and famous. The fans’ll love it. 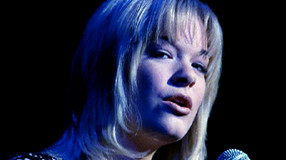 She can even sing that song that makes people remember that they like Patsy Cline. Film Guy #1: Great. But LeAnn’s people say she’s only available to shoot for a day or two. Film guy #2: Hmm… I’ve got this script about a 1940’s country singer with diabetes collecting dust. 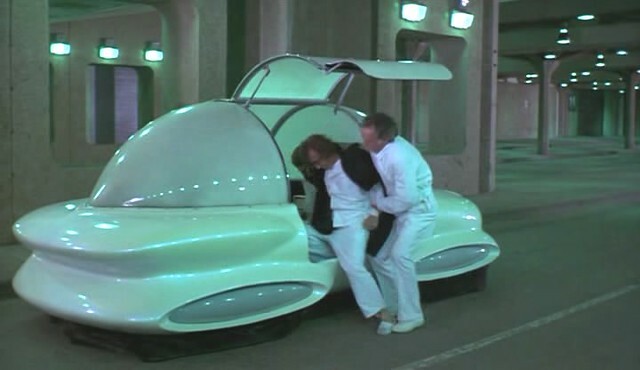 Bernadette Peters was supposed to be attached to it. Film Guy #1: Perfect! We’ll just drop LeAnn’s scenes in and make Bernadette Peters, like, a ghost or something. I know, I know, LeAnn wrote the book so it’s technically not possible. But still. The book is real. I know, right? So, you’re probably on the edge of your seat wondering how this movie ends. At the 11th hour, Bernadette (in the flashback that WILL NOT END) is saved by an elderly diabetic busmate who has extra insulin. When Bernadette wakes up, she finds elderly diabetic busmate DEAD and realizes that he didn’t have any “extra” insulin — he just sacrificed his life to save hers. In an outstanding example of a classic Lifetime-style WTF plot hole, Bernadette later realizes that the mysterious stranger was actually her estranged FATHER (who it turns out really did love her after all). After 8 years, would anyone really not recognize their own father? There are no words. As for LeAnn, she learns a valuable lesson from Bernadette’s tale and chooses to be with her fictional grandma (or does she have a real Grandma T? This fantasy biopic stuff is confusing) because family is what really matters. Grandma Teeden recovers and is back on her feet just in time to see LeAnn perform the hit single. Again. Overall rating: Keep the mute button handy for the eleventy thousand times they play the hit single. But otherwise, pretty entertaining. 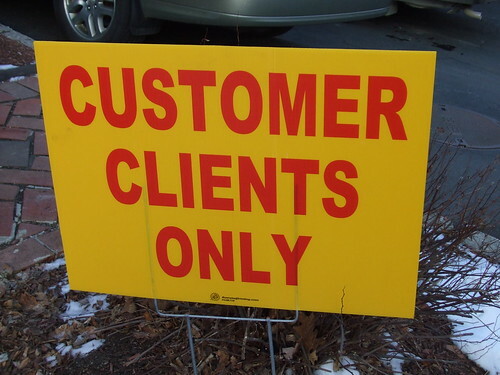 Marketing Mayhem: What Kind of Client Can Park Here? Issue 1: Unnecessary adjective. Or too many nouns. Issue 2: There’s a reason signs are made of metal. Anything that can be bested by a gust of wind is unlikely to be seen as authoritative. 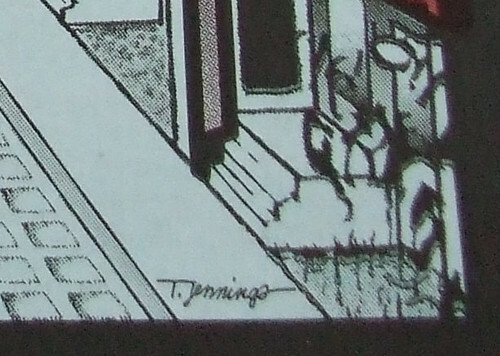 Visual Assessment: Well, it’s another weird exterior scene. And why are there no people on the street? 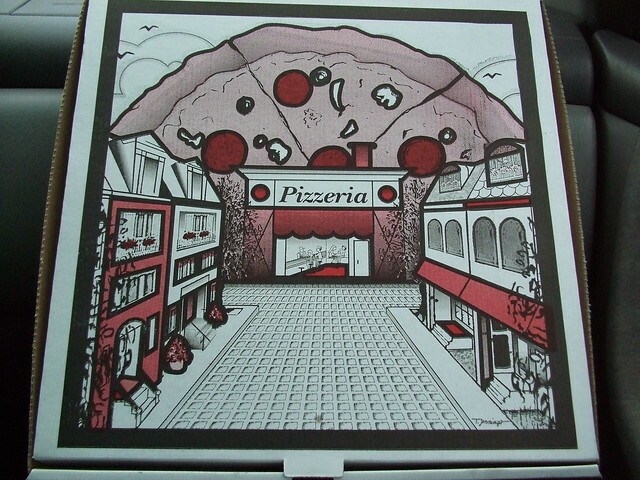 Is everyone inside, huddling in fear of the mutant giant pizza pie? And what about those M birds flying in the sky? You know, M birds — the tried and true artistic technique of showing distance by…drawing an M and saying it’s a bird. The overall impression is that someone blew up Word clip art (see also: Clip Snark) and affixed it to the box. Final Observation: Have you ever seen an artist’s signature on pizza box design? Now you have. Today has special culinary significance for the Attempted Blog, and not just because I had a special apple pop tart for breakfast. The 80’s certainly are starting to show their age, aren’t they? I didn’t actually play this one as a kid, though on first sight I thought I had. A lot of games looked like this. but I was probably thinking of 1) Dreamphone, which my best friend had. 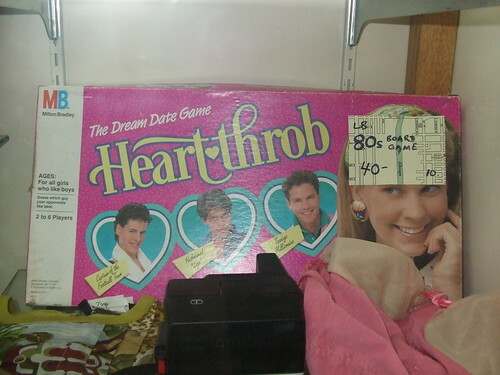 The gameplay consisted entirely of calling boys on a plastic play phone or 2) Girl Talk, which I think a well-meaning but clueless relative once bought me. It was basically like Truth or Dare, but with the addition of little stickers that were supposed to look like zits (?). Hey, remember Mall Madness? Man, that and the talking Barbie that said, “Math is hard,” have a definite spot in the collection of Things You Can’t Believe Were Real From Childhood. Anyway, I’m mostly writing this post because I need to get this Technorati claim code (5TP3VYBWNA54) published somewhere. But now that we’re here, what was your favorite 80’s game? Nothing takes you out of the present moment like a plate of food cooked by someone else. Mid-way into a difficult day I decided to treat myself to a decadent restaurant lunch. Time constraints turned my fancy solo lunch into a slice of pizza eaten in the unseasonably warm sunshine. By taking it to go, I got myself a bonus prize: a single slice pizza box. Single slice pizza box with cigarette butts and leaves, Attempted Blogger, 2012. Visual Assessment: Don’t let the triangular form throw you; this one’s still a 100% classic pizza box, right down to use of “pizza box red” and a font reminiscent of bygone 70’s sitcoms like Three’s Company. In fact, the design is SO kitschy that it reminds me of one of those fake vintage T-shirts you get at the mall. You know, the ones with silk-screened text that says “Jack’s Tackle Shop” or the name of a high school sports team in Minnesota. 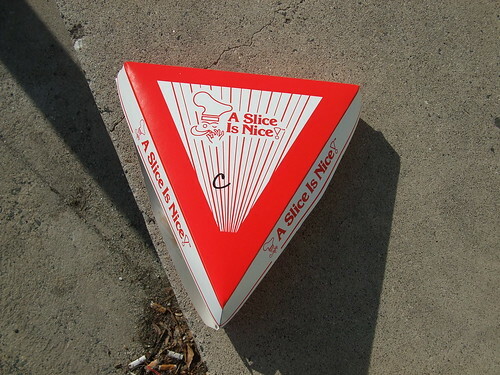 Generic Product Claim: A slice is a-nice. Well, maybe they don’t have the a- in there. But don’t you automatically read it that way, given the line art Italian stereotype poised beside it? Italian Stereotype: He’s a real peach, and he’s even winking at me!